Bone china with gilt. 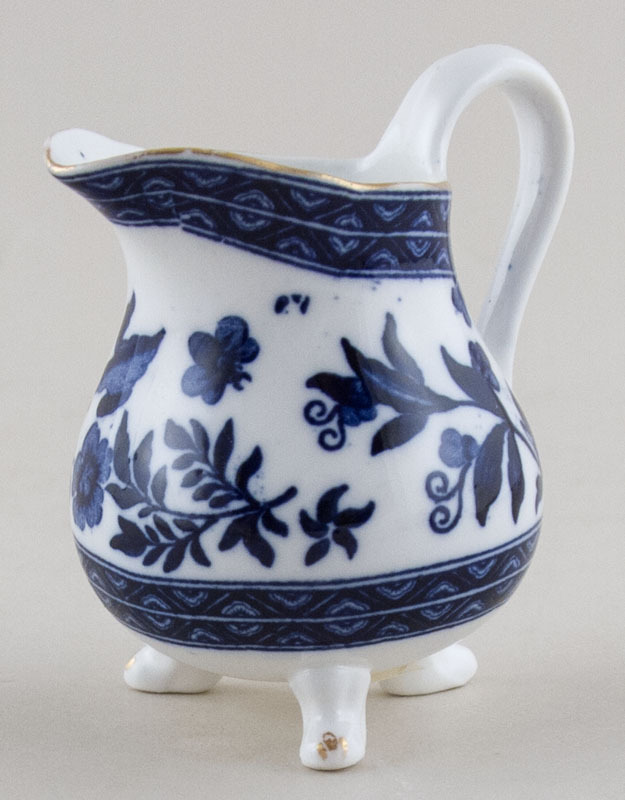 A gorgeous little jug standing on three small feet. No backstamp. A little minor wear to the gilt and just a little blue spotting here and there, overall excellent condition.